Monday – Thursday 7 a.m. – 5 p.m.
During the two-week breaks the UWS Campus Store hours will be 8 a.m. - 2 p.m.
Monday-Friday, with some closures due to all-staff meetings or inventories. 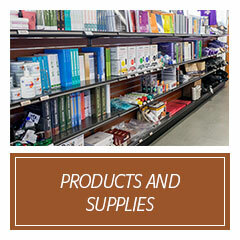 The University of Western States campus store is more than just a bookstore, in fact, UWS students buy most of their books with a click of the mouse at our online retailers below. 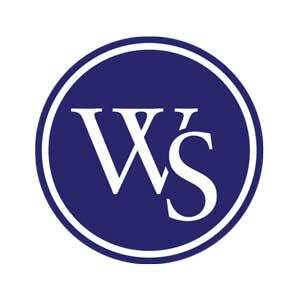 However, the campus store is a student’s one-stop-shop for UWS apparel, snacks, nutritional supplements, school supplies, equipment and study materials. So stop by and take a gander. It also houses parking and transportation services. Questions? Contact the friendly campus store team at 503-251-5763. Click on a button below to be directed to our online store. Students are encouraged to check the library catalog for electronic versions of required and recommended textbooks before purchasing. The library carries a few copies all of the required and recommended textbooks in print and has been able to obtain electronic versions of many textbooks for all programs at UWS, saving students hundreds of dollars per term. Please contact Dr. Sims-Barbarick, dean of graduate and undergraduate studies, for current book list. The campus store also serves as the campus purchasing/shipping/receiving center. Please call with any questions or requests: 503-251-5763. Take a tour of the UWS campus library and explore all the great features it has to offer. You’ll be spending a lot of time here!